The right tools always make the job go a lot easier and produces a better product in the end. 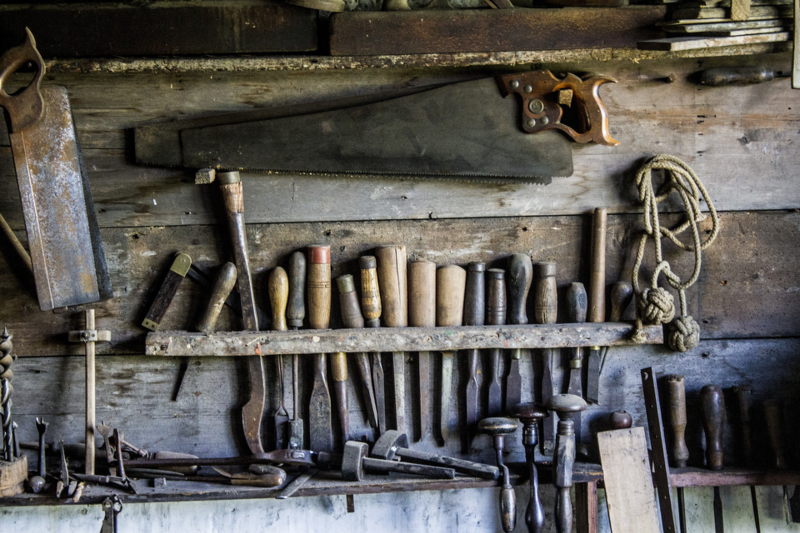 You can’t be a home-builder without owning all the right tools and, most importantly, knowing how to use these tools determines the quality of the finished product. In skilled hands, the right tool performs flawlessly and shapes the project towards an efficient and effective result. Build the right marketing strategy for your CPG, FMCG, or SMCG brand by powering up the right tools. As a shopper marketing agency executive, you know how important the result is for your CPG brand. In most cases, the success of a program is not determined by a single factor, but more of a mix of many factors. The right audience targeting, messaging, and call-to-action all come together like a beautiful mansion built on the coast. Building effective shopper marketing programs for CPG brands is the same. You’ve spent months planning your shopper marketing strategy, but the tactical execution is where the rubber meets the road. The right shopper marketing software partner provides flawless execution to support your strategy. Creating engaging and meaningful ad content is not easy. In the sea of advertising, the currents move swiftly. One ad after another after another they flow like hot molten lava, all working to capture the reader within that split second. Making an impression (and not just paying for one), is tough; But, using a digital coupon platform that allows you the ability to monitor in real-time the click-through and response rates of many different messages all deployed at the same time (A/B testing) will help you maximize your campaign’s effectiveness during the campaign as opposed to after the campaign, when it is too late. Better to learn and correct while in flight than to pick up the pieces afterward and hope for a second chance. Many successful shopper marketing programs rely heavily on a well-designed microsite. Marketing plans for national product entries take full advantage of the microsite to build brand awareness of the new product and promote its features and benefits. Over the years, we have seen the best-planned shopper marketing strategies run amiss because of a poorly executed microsite. The main culprit you ask? Sometimes too much is, well, too much. Stick to the mantra: less is more. With the shopper marketing teams leading the charge here, and creatives and account managers all working together, an effective microsite can be built. Remember, the only goal of a microsite is to “sell the dream”. Sell the product benefits while leading the view down the path towards the call-to-action. This is the sell, the “pitch” if you will. Visit our blog post “Shopper Marketing Best Practices: Building a ROCKIN’ Microsite for Your FMCG Brand Client” to learn more about microsites. Here comes the closing of the deal. What action do you want the consumer to take? This part is where the rubber meets the road, where all the hard work with either pays off or not. (See “crash and burn” reference above.) Ask the user to do something; take action. Sign up for the newsletters, email lists, new product information, or get a digital coupon and BUY our product (this is our personal favorite). You must have a compelling call-to-action that results in the viewer taking action and is trackable. All of your work has funneled the targeted consumer down your path, exposed him/her to your messaging, and hopefully has left a positive lasting impression; now, close the deal. Buy our product. Try it. Here is a great offer too good to pass up. This call-to-action should be measurable, traceable, and should produce the desired result of the campaign. Creating actions that lead to sales attribution are preferred and help in analyzing the effectiveness of the campaign. Many times, we see shopper marketing programs that try to do too much or don’t seem to have a clear path for the consumer to follow. Keep your path narrow while providing the necessary information to convert visitors into actions and actions into sales. Much like your hammer, screwdriver, and saw work to build a house, these three components, on-the-fly media optimization, microsites, and the call to action, can give you a great digital coupon campaign. We know this planning is tedious and not always the most fun, but we also know that these tools can build you a beautifully-executed digital coupon campaign. To continue the conversation about your toolkit specifically for your CPG brand, contact us today.